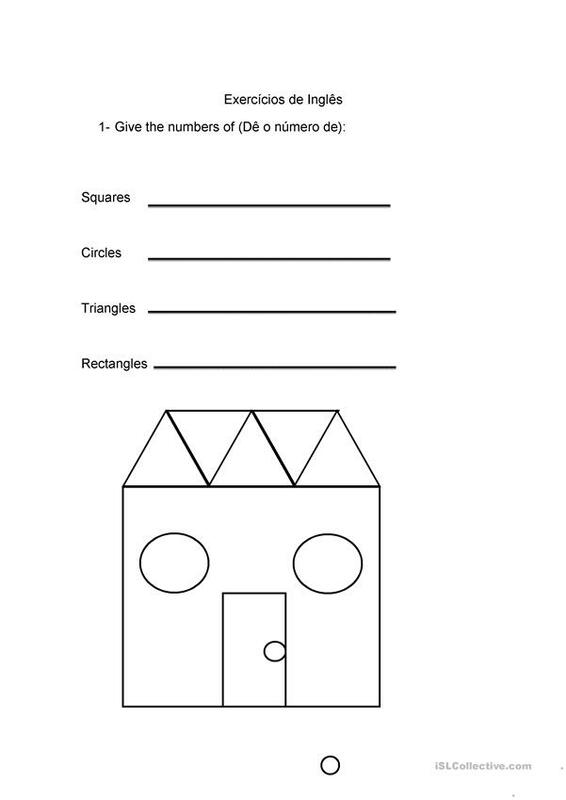 This exercise is to work with forms and numbers at the same time. The present downloadable worksheet was created for elementary school students and kindergartners and nursery school students at Beginner (pre-A1) and Elementary (A1) level. It is a useful material for revising Nouns in English, and is useful for improving your learners' Reading and Writing skills. It centers around the theme of Numbers. mairamattos is from/lives in Brazil and has been a member of iSLCollective since 2012-03-13 13:25:36. mairamattos last logged in on 2018-06-21 18:31:42, and has shared 2 resources on iSLCollective so far.